Dan dropped by Good Morning America today to discuss the case of Raul Gupta, a 24 year old who killed his high school friend during a night of partying gone awry this past Saturday night in Virginia. 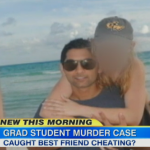 Gupta was held on $2 million bond for the murder of victim Mark Edward Waugh, who was in his first year of law school. The cause? Gupta allegedly told police, “my girl was cheating with my buddy” at the crime scene. So what will his defense be? Dan explains, “It sounds like it’s either going to be defending himself or defense of another – and I say that because both their statements relate to both of those issues. The authorities say that on the one hand he was defending himself, his buddy was effectively gonna try and kill him, at another point he says he hears his girlfriend yelling – those are the seeds of possible defenses with regard to both of those statements. But remember his lawyer has to be really careful – the last thing he wants is almost any of these statements coming in. This lawyer is going to try to get all of these statements excluded from evidence.” For more, watch the full segment here.